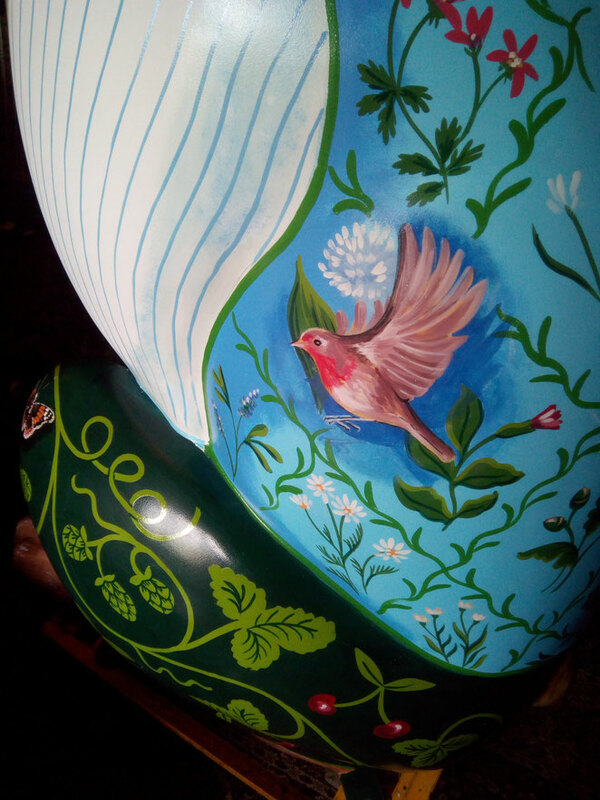 Cirencester / Cotswold / Hare Trail. Both Lee Crew and myself said yes, and were asked to name and decorate them with a local historical theme...so I chose Winchcombe Mop Fair...and called her. 'All the fun of the Hare'. 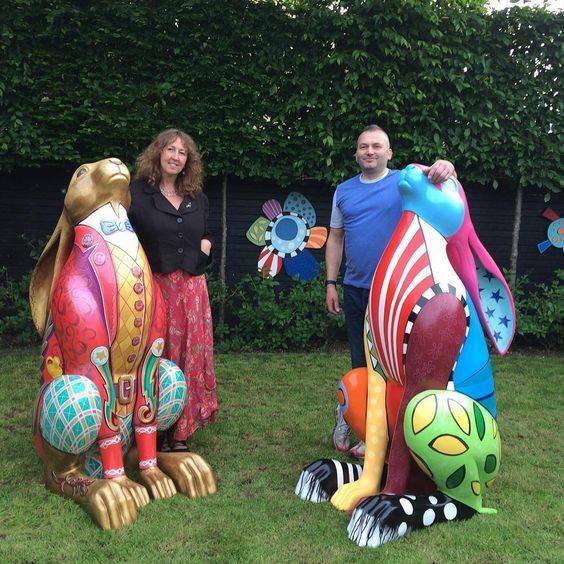 All of the artists involved painted the hares for nothing so that when the hares are sold, the net profit goes to the charity..The National Star Centre. When I was a teenager, I used to meet residents of the Star Centre that needed help and company while they shopped on Saturday Mornings....so it was nice to help a little again. Lee Crew is a succesful artist and printmaker, with a sideline in picture framing. We were asked to paint in certain paints so that they wouldn't react to the varnish that would be done somewhere else, so this made a change from my usual oil based paints. The hares spent last summer both inside and outside, and looked as good as new by the end of the Summer. 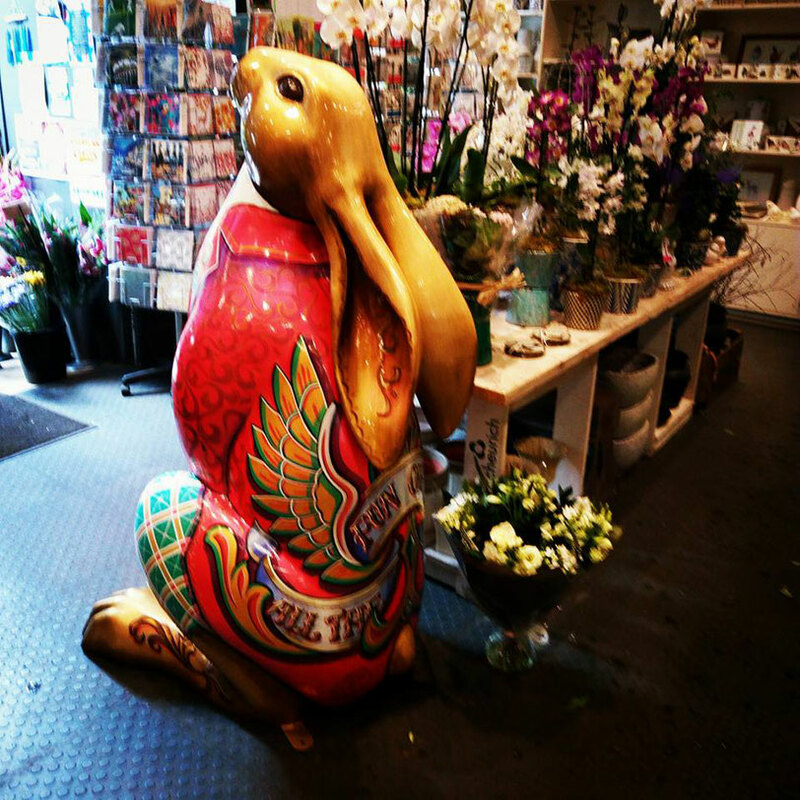 My Hare is had his / her last stint stood outside Budgens in Winchcombe before he was taken back to the Hall of Fame, Cheltenham Race Course for a grand Auction. 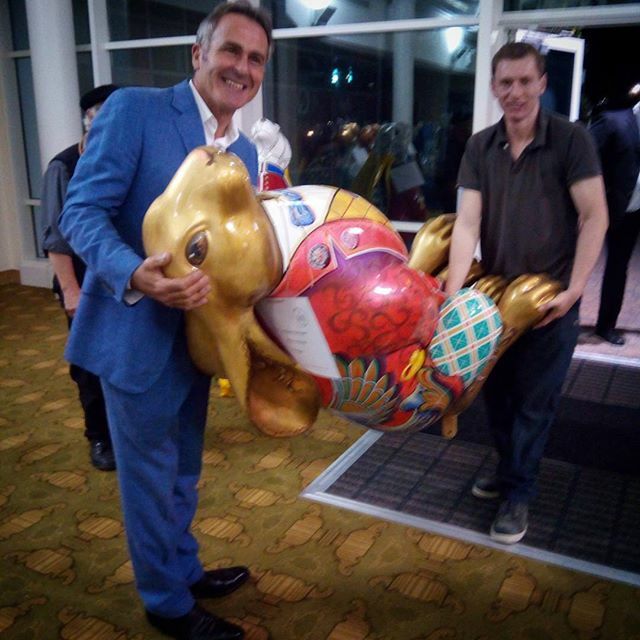 My Hare sold to the lovely auctioneer- Paul Martin- of Flog It fame! 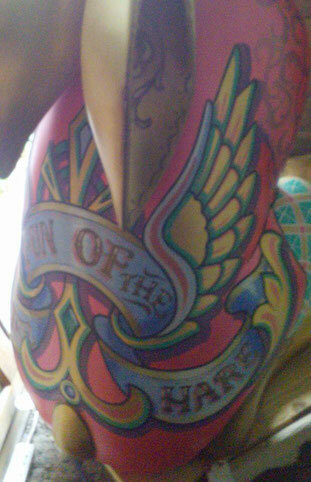 This year I've painted a new hare...Here's a sneaky peek at a detail.